Stainless Steel, Brass, Pipe, Valves, and Fittings. Stainless Sanitary Tubing and Fittings. Custom Stainless and Carbon Steel Fittings. Fine PVF Sales is a professional manufacturers' representative agency serving the Western United States. 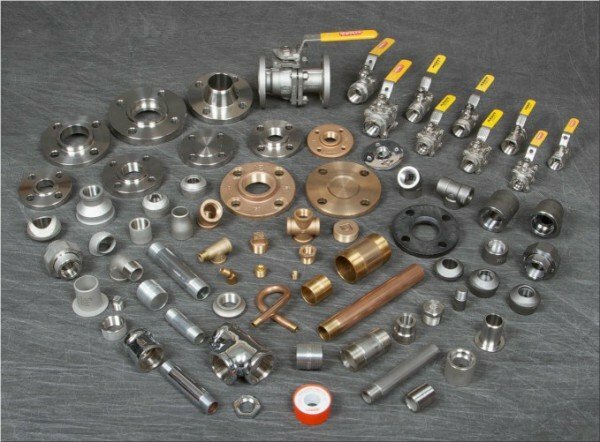 We have over 40 years experience selling top quality stainless, brass, pipe, valves, and fittings. We represent the highest quality manufacturers and distributors serving the industrial PVF, plumbing and construction markets. We do business the "old-fashioned" way. We do whatever it takes to make our customers happy. Our goal is for the sale process to be as seamless as possible. "You are so easy to do business with" is usually the most common comment of our customers.